Tuesday Chalmers is an Adult/Teen Librarian at McPherson Square Library, and a member of Cohort 1 of the Skills for Community-Centered Libraries training. 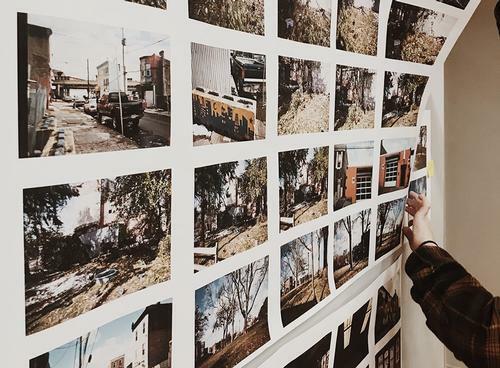 In this post, she explains the project she worked on after attending the workshops. I was part of a group of Free Library of Philadelphia staff who attended workshops to enhance our community building skills. The training entailed effective communication, how to build meaningful partnerships, and evaluating the programs that we provide. As a part of the skills for Community-Centered Libraries initiative, each of us developed a project that utilizes the knowledge gained during trainings. With the opioid crisis in Kensington, people often focus on the negativity around the neighborhood. The Camera Project was created by Kensington Voice to highlight the positive images of the community though photographs. Participants attended two workshops facilitated by Kensington Voice and several McPherson Square Library Teen Council meetings. The first workshop included a brief introduction to photography and storytelling, and each person received a disposable camera to be returned to IMPACT Services. One week later, the captured images were developed. At the second workshop, we discussed the photos and created captions. Each photographer chose six to eight photos to display during a photo exhibit. 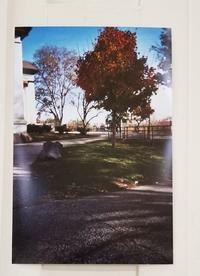 One of our teens, Isabel, suggested titling the photo exhibit "Kensington Through Our Eyes." During the Teen Council meetings, teens developed the flyer with the assistance of Kensington Voice editors Maggie Loesh and Claire Wolters. Several participants also helped distribute flyers through the community and set up the exhibit on the day of the opening event. 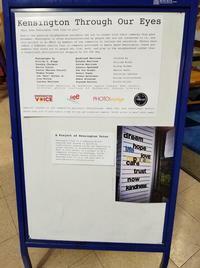 "Kensington Through Our Eyes" opened on January 22 at McPherson Square Library. We are hoping that these photographs spark emotion and initiative. We want this community created content to showcase normal daily life in the neighborhood and not just the opioid crisis. There is more to community than what mainstream media captures, and the Camera Project gives people an opportunity to shine a positive light on their neighborhood and build relationships. One concept we discussed at the Community-Centered Libraries training was the Iceberg Model. At the visible tip of an iceberg, characteristics such as age, language, physical appearance, and gender seem to be visible. The deeper structure below the water includes less visible aspects of a person, such as beliefs, values, feelings, or social status. When we just concentrate on the tip of the iceberg, we tend to build bias and pass judgements, whether consciously or unconsciously, which hinders our ability to effectively engage with the community we serve. Through the Camera Project, we built a deeper connection within the community and with people visiting for the exhibit. "Kensington Through Our Eyes" is meaningful to me both personally and professionally. In addition to my photos being on display, I grew up in Kensington and in nearby Harrowgate. I have seen the struggle and I have empathy for those affected by the opioid crisis. However, I’ve also seen a lot of good in the community that is being drowned out by negativity. Overall, the project was a huge success. I could not thank Kensington Voice enough for their willingness to collaborate. The library was able to build a relationship with the community and show positive engagement. The Free Library of Philadelphia strives to "foster leadership partnerships and creativity" and "advance ongoing responses to community needs." This project brought the community together, challenged stereotypes, and focused on the positive here at McPherson Square Library.